Get in on the fun this season! PGA Junior League Golf is a fun way for young golfers to build their golf skills within a team based league that is fun, exciting and inclusive. Our team is coached by Jim Wise, PGA and assisted by Chris and Bre Reed, Directors of US Kids Golf in Northern Ohio. All PGA Junior League golf players will participate in 5 practices, 5 matches, professional instruction. Also included in the cost are golf course fees, league fees, 2 team golf shirts a bag tag and more. With more than 3,400 teams and 42,000 participants in 2017 – and Ambassadors like Rory McIlroy and Michelle Wie – PGA Junior League Golf has wide-ranging appeal for both youth and their parents. A few years ago, The PGA of America started an exciting new program called the PGA Junior League. It brings ‘little league’ fun to the game of golf. Three years ago, Mallard Creek became involved and we organized our first team. We won our league that year and what was even more special, our post-season team made it to the National Championship in Orlando, Florida at Disney World. 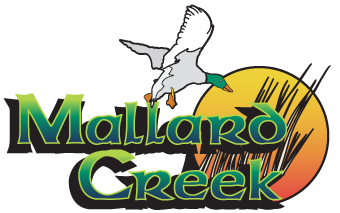 It was such a great experience in 2015, that we decided to expand the program in 2016 by forming a 6-team league at Mallard Creek. We had 62 junior golfers in the league and we had a ton of fun. Again, we were good enough to advance to the National Championship. This time we went to Arizona, where we finished 3rd in the entire country, were featured on the Golf Channel and had the time of our lives. Last season, we had 72 juniors take part in the program and again managed to advance to the National Championship. For the second year in a row, Team Mallard Creek finished 3rd in the country. The league is designed for children ages 8-13 (must be 8-13 on August 1, 2019) of all abilities. However, it is recommended that players have some knowledge and experience in golf. We can tell you from our first three years that our less experienced golfers had just as much fun as our more experienced golfers. We are really excited to combine the forces of the PGA, US Kids Golf and Mallard Creek to create a great experience for junior golfers with this fairly new league. There are 5 practices in May and June before matches begin. The practices will cover full swing, short game and putting. After 2-3 practices, equal teams will be announced. The regular season consists of 5 matches against other teams in our league. Competitions are played as 3 person scrambles and played in a match play format. Everyone plays in every competition. Each match starts with three six-somes, each playing a scramble versus scramble match. Matches are broken into 3 hole contests called flags. The team with the most flags will be the winner of the competition. There is a post-season which progresses from local to national. Along with the 5 matches, the 5 practices will include instruction and drills provided by Jim Wise, PGA (League Captain), Chris Reed, US Kids Golf (League Coach) and several guest golf professionals. Bre Reed, US Kids Golf, will be handling the administrative end of the league. Practices will be conducted on Thursday nights, starting with the first Thursday in May. All players will practice at the same time. Teams will be decided on May 16 and then teams will be practicing together thereafter. Matches will take place on Friday nights, beginning June 14. Players will be paired so players of different abilities are always playing together. The cost of the league’s $300, which is due when you register online (you can only register online). We are limited to 72 players, so please register as soon as possible.